On Saturday 3 December EU NAVFOR sailors, supported by staff from EUCAP Nestor, carried out radar training on board the Spanish offshore patrol vessel, ESPS Relampago, in Berbera Bay, as a precursor to an engagement the following day on board EU NAVFOR flagship, HNLMS Tromp. The UN Office on Drugs and Crime (UNODC) assisted the EU in preparing for the radar training. As the Operation Atalanta flagship, HNLMS Tromp, and her embarked Force Headquarters staff prepare to leave the EU counter-piracy operation and return to The Netherlands, the Force Commander made a final trip to ESPS Relámpago to bid farewell to Spanish colleagues. On Saturday 3 December ESPS Relampago conducted maritime training with members of the Somaliland Coastguard. 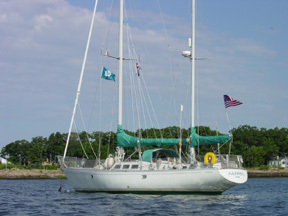 The training included radar and Search and Rescue (SAR) training. On Tuesday 6 December Dutch flagship HNLMS Tromp started her long journey back to her home port of Den Helder in the Netherlands after completing a four month deployment with the European Union’s counter-piracy operation, Atalanta off the coast of Somalia. On Friday 25 November 2016, the Spanish Orion Air Contingent XXVI, commanded by Lieutenant Colonel Juan Ferrero Barberán, completed a successful four month deployment with Operation Atalanta. Detachment XXVII will be commanded by Lieutenant Colonel Manuel Arozamena Sanz. On Monday 5 December 2016, Operation Atalanta’s Deputy Commander, Rear Admiral Cristóbal González-Aller Lacalle, visited the Spanish Orion Air Contingent XXVII, commanded by Lieutenant Colonel Manuel Arozamena Sanz. 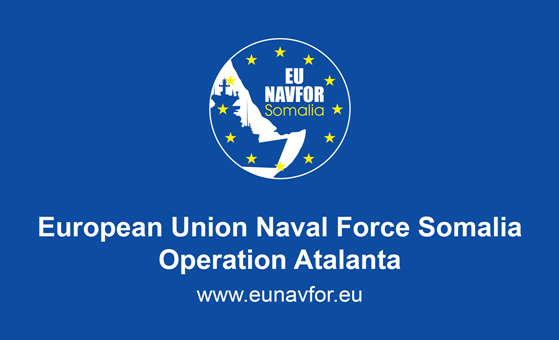 This week the European Union is marking eight years since it launched its first ever maritime military operation, EU NAVFOR Somalia – Operation Atalanta, in response to a surge in armed pirate attacks on merchant ships and other vessels in the Gulf of Aden and Indian Ocean. One of the key roles for the EU Naval Force is to ensure that World Food Programme (WFP) vessels that have to sail close to the coast of Somalia in order to deliver humanitarian aid to the Somali people, arrive safely in port. And during the past few weeks, EU Naval Force’s Croatian maritime security team has been doing just that. Embarked 24/7, these highly trained soldiers have being maintaining a constant watch at sea to ensure that WFP vessel, MSM Douro, remains safe.